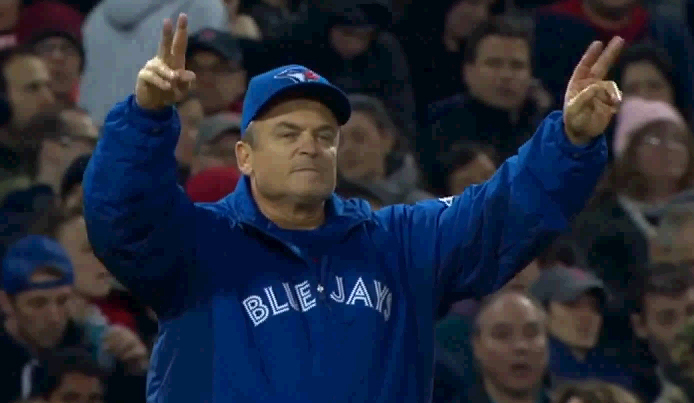 Just like that, the Toronto Blue Jays are back at .500 and all is well in the universe again. After an up and down first few series of the season, the Blue Jays took their first series of 2016 against the New York Yankees in quite decisive fashion. It was the perfect combination of a stellar start from Marcus Stroman and the Blue Jays provided just enough offense to overpower the Yanks. The game provided many memorable on and off-field moments, many of which are recapped in GIF form below. "Did you see me hit that home run?"